Paul: It’s all hands to the pumps here at Shut Up & Sit Down this week. 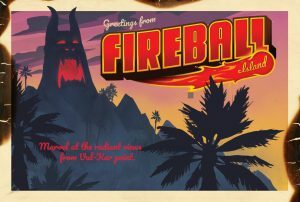 The News Dam has burst under the weight of stories gushing out of the fiftieth GenCon, along with everything else independent of that massive show that has continued trickling forth. Dual wielding mops all week, we’ve been doing the best that we can to soak up all the information. Some stories are HUGE, others are CRUEL TEASES. It’s all too much. 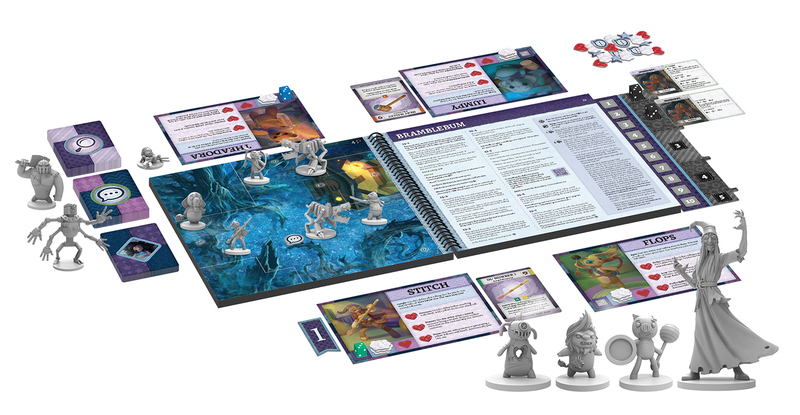 Put on your lifejackets as we dive right into this BUMPER EDITION and start at the deep end with the BRAND NEW STAR WARS MINIATURES GAME. 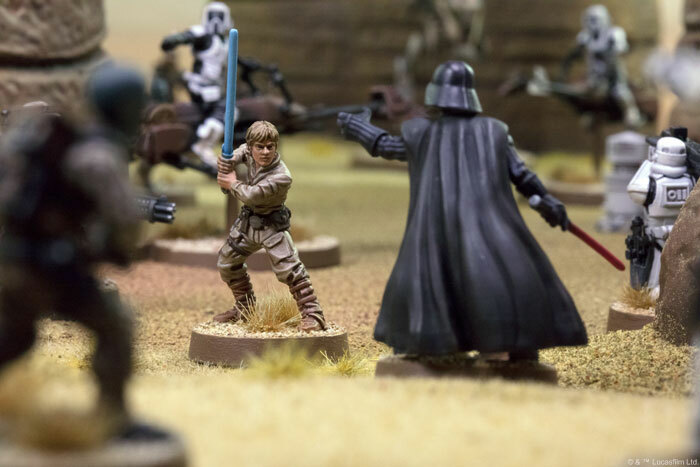 One of the biggest announcements of the year is Star Wars: Legion, which stormed into GenCon like an Imperial boarding party. 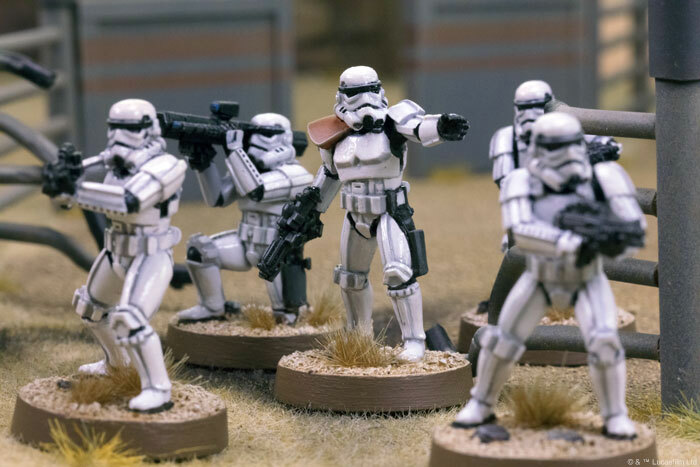 After announcing Runewars earlier this year (and after doing a terrific job with both X-Wing and Armada), it makes total sense that Fantasy Flight will be covering our tables with stormtroopers AND speeder bikes AND rebel sappers come 2018. We were still caught by surprise, though, but it was the wonderful kind of surprise, like when you discover your crush also likes you. 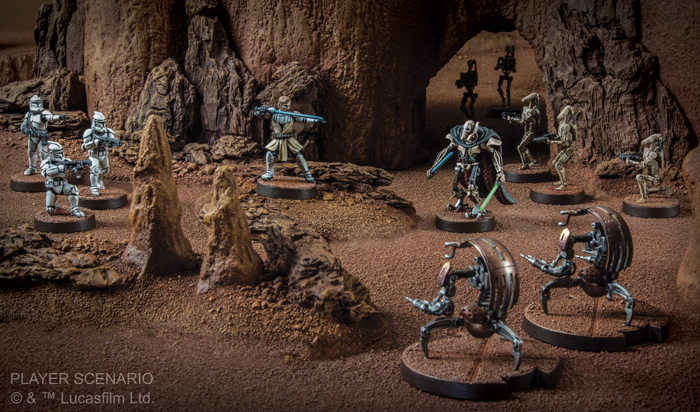 Sticking with both Fantasy Flight and Star Wars, there was another very unexpected announcement this week. 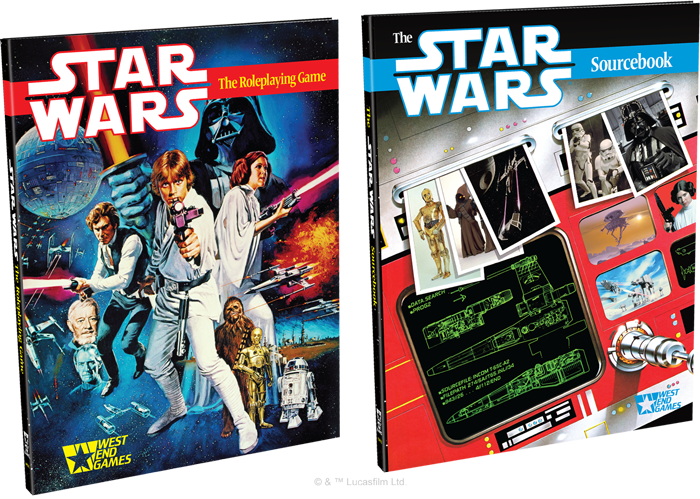 The original edition of the Star Wars roleplaying game is being re-released for its thirtieth anniversary. Which is, I guess, very nice, but weren’t Fantasy Flight busy enough with The Edge of The Empire series? Boy, this brings back some memories. Memories of a lot of D6 and of the excitement of a bunch of us teenagers getting (and naming!) our first freighter, or of my early and clumsy attempts to be a GM. Star Wars tabletop and video games were also how so many of us kept the series alive in the 80s and 90s. They were how the expanded universe grew and how films that were older than many of us remained relevant. This RPG was, if nothing else, a source of a lot of background and inspiration. Still, it feels so strange to see it resurface now. ONWARD, though. There’s still so much to cover! 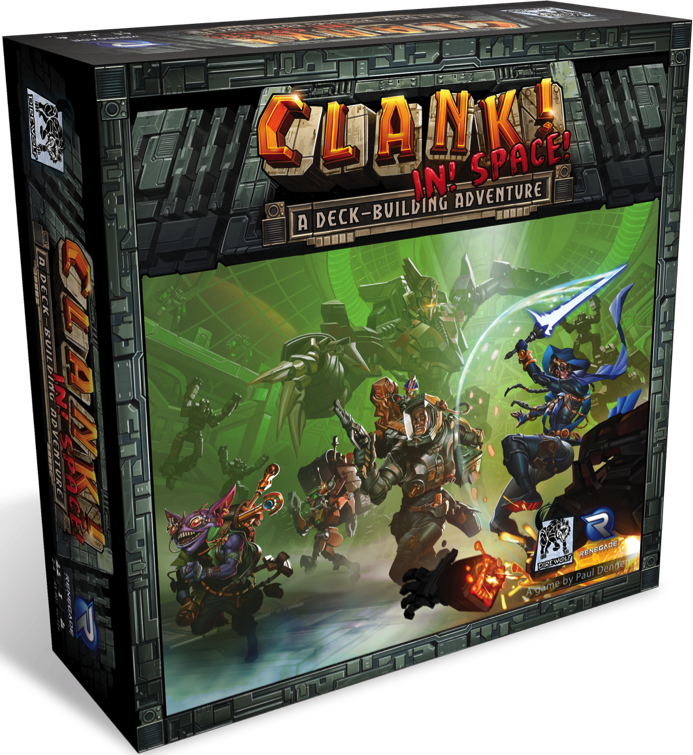 Deeper into the galaxy we must fly as we seek out Clank! In! Space! 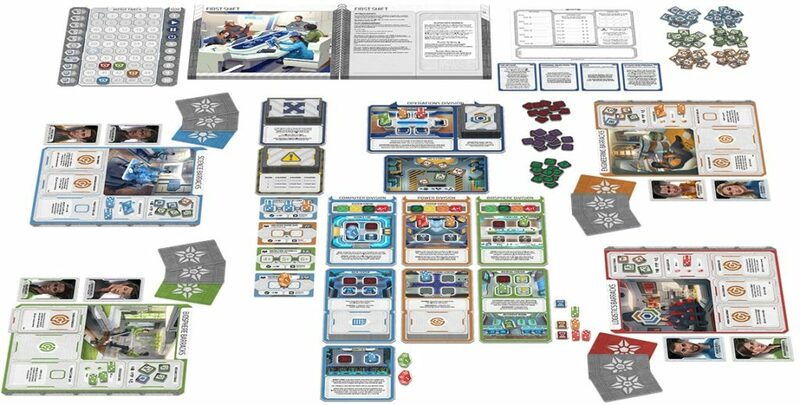 which is a science fiction twist on the deck-builder that’s all about being as quiet as possible. Once again, you’ll be playing sneaky thieves who are pushing their luck as they try to steal as much as they can as quietly as they can, though this time the board looks even more elaborate. TAKE MY HAND as I tug you toward perhaps the most unusual news of the week, that of Stuffed Fables, Plaid Hat’s new game about being, well, a stuffed toy. Which is what you always wanted to be, right? And you wanted to share your stuffing with your friends to help them in times of need, didn’t you, the same way you offer extra intestines to buddies in need? And didn’t you say you wanted to play your way through an actual storybook, which tells the story of how you work together protect a child from danger? C’mon, you’re at least a little bit interested. 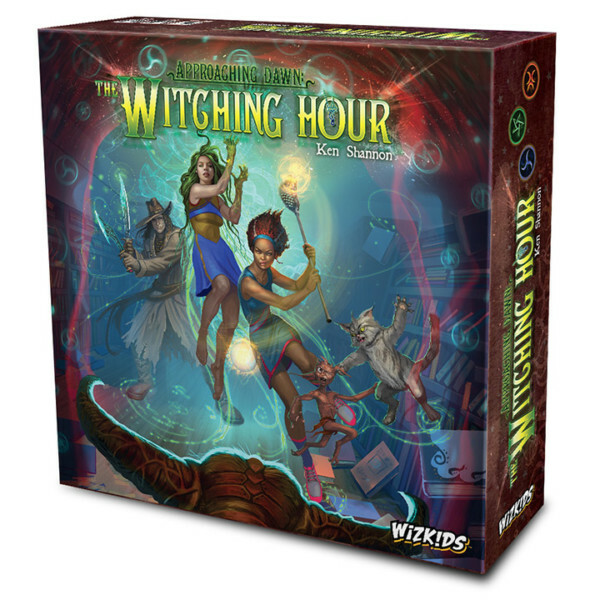 We sure are and we’re lucky that we’ll be trying this out at SHUX in October. Hooray! Lingering with Plaid Hat for just a moment longer, we must also nod toward Starship Samurai, even though we have little more to go on right now beyond a box and a collection of chunky robot figures. It’s not hard to detect the anime influence, mind. Since so much of what Plaid Hat do is so very interesting, we are sticking a rather big pin in this. Phew. WHAT’S NEXT. Oh yes! If we’re doing cursory nods, we should also mention Matagot’s Meeple Circus, which we managed to catch a few remote glimpses of (that wonderful photo was shared on Twitter by BG Panda). 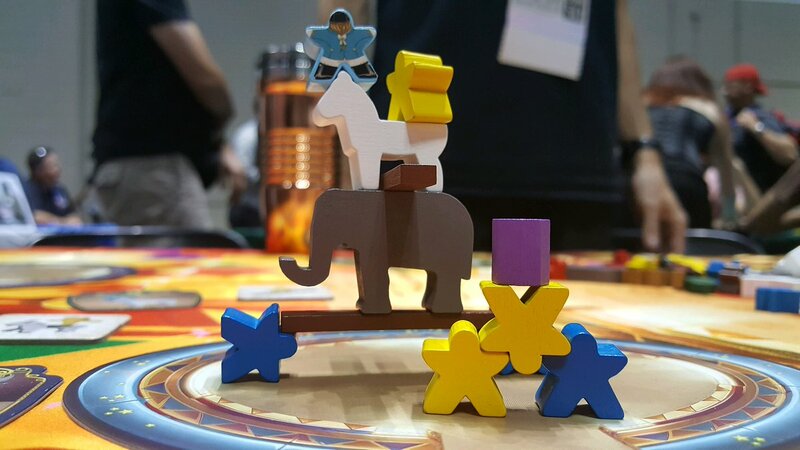 We’re huge fans of Matagot and obviously the sight of meeples balanced both on top and underneath of an elephant is going to perk our trunks up, as is the implication that there could be a wooden waterfall of collapsing performers, or perhaps even an elephant emergency. It looks magical. 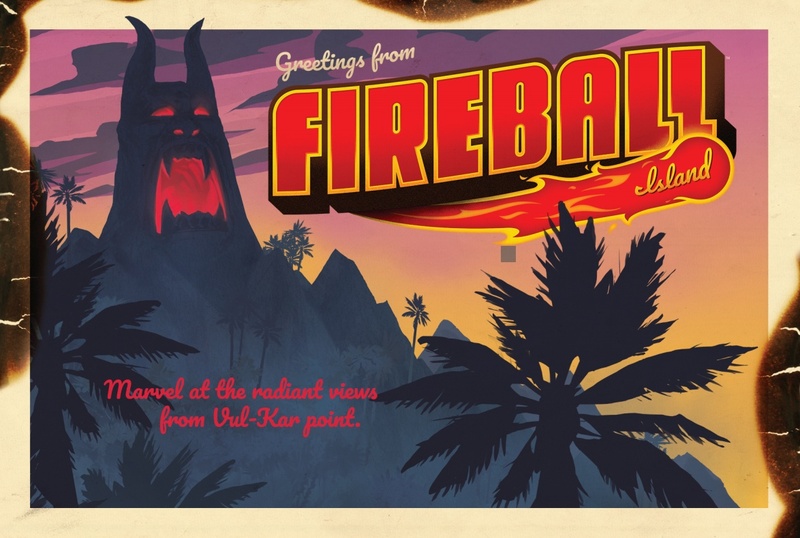 Fireball Island, of all things! I tuned into BoardGameGeek’s stream just in time to see Rob Daviau talking about how Restoration Games is relaunching this chaotic classic of marble madness, tweaking its rules to suit both children and adults, as well as hoping to improve its build quality. Restoration Games have announced several interesting projects since they started, but this is perhaps their most prestigious yet. I never saw a copy of this as a kid (did many reach Britain? ), but I understand it was a classic for many North Americans of a certain generation, so I imagine the nostalgia appeal alone is overwhelming. It certainly won’t hurt that Daviau is promising less roll-and-move, but more ways to die. 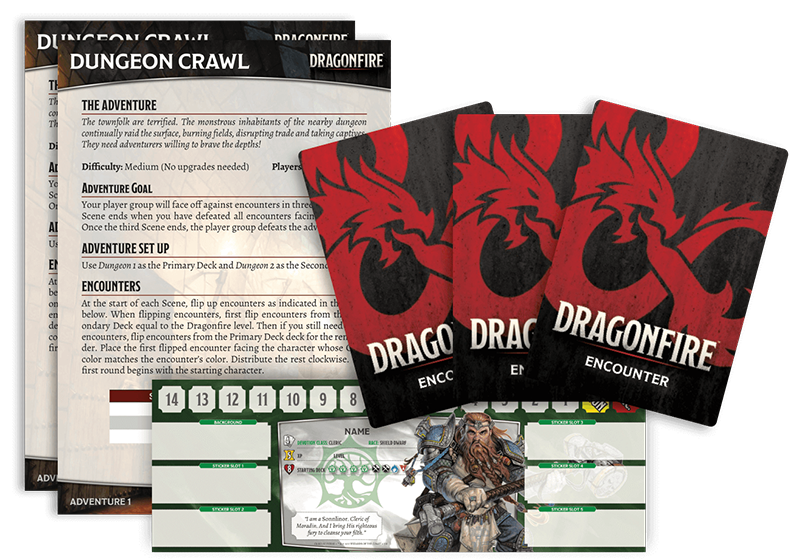 We also got a proper chance to see the alliterative Dungeons & Dragons deckbuilder Dragonfire in action thanks to that same relentless stream. It turns out that this is the GenCon game Cynthia is surprised to find herself most excited by. I have to admit that I, too, am now keen to try teaming up with my friends and filling out all those classic adventuring roles, as we take on various dungeons and/or dragons. Back in the day, I was a bit of a fan of the flawed but interesting Thunderstone, so I’m hoping that this can trump it and fill the ragged hole that imperfect game left in my heart. I always had torch troubles. Did that happen to you, too? 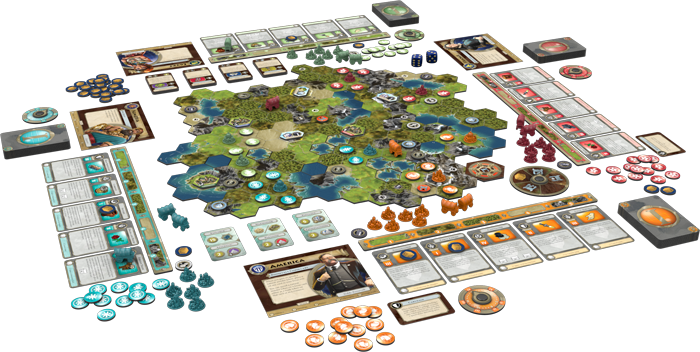 Our Chris, meanwhile, was probably most stoked for Civilization: A New Dawn, the latest cardboard interpretation of Sid Meier’s legendary video game series. Looking as colourful, busy and ambitious as it does, it certainly also appeals to me, but what I also appreciate is its modest play time. 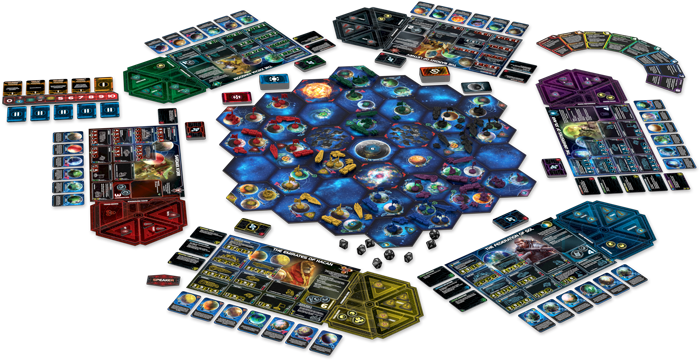 Unlike it’s inspiration, the folks at Fantasy Flight are saying this will clock in at two hours or less, which makes it even shorter than previous versions of the game, though it still looks fairly grand in its scope, with variable victory conditions and a modular board. OH GOD WHAT ELSE oh yes we’re still catching up with Wizkids and we are, frankly, a little stunned to hear about Wartime, their REAL-TIME WARGAME that uses sand timers as a cooldown component. I have one comment here from Quinns, which simply says “What time is it it’s dinner time oops I mean war time” and I have to say that I am very, very curious about what this will serve up. Will it be frantic like SPEED CHESS WITH HEXES? I hope so. THE NEWS NEVER ENDS, just like the futile war against Skynet, and so it’s no surprise that another Terminator game is on its way, this one loosely based around the conceit of the second film. However, rather than listening to Guns n’ Roses and making some poor scientist blow himself up for something he hasn’t done yet, T2029 puts players in the role of future soldiers working together to send a T-800 back in time, using a combination of card management and dice-drafting. 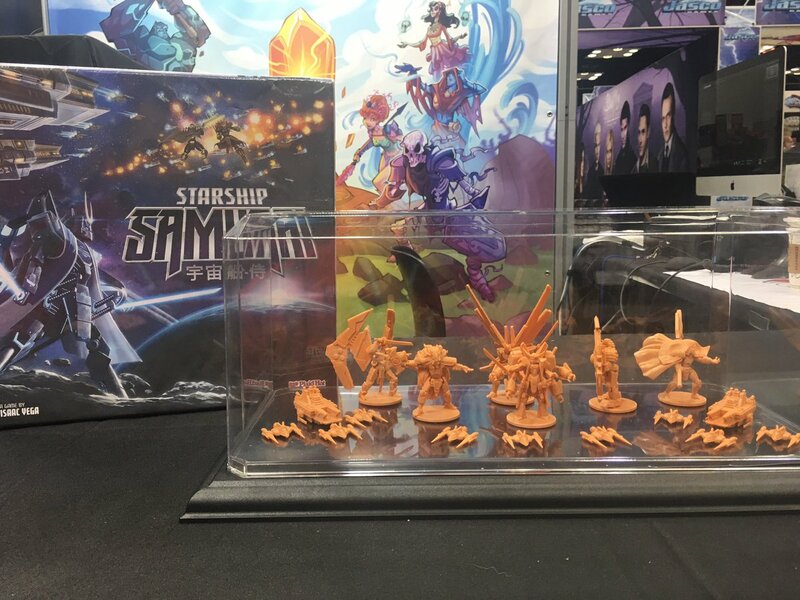 Expect to see a Kickstarter next month. 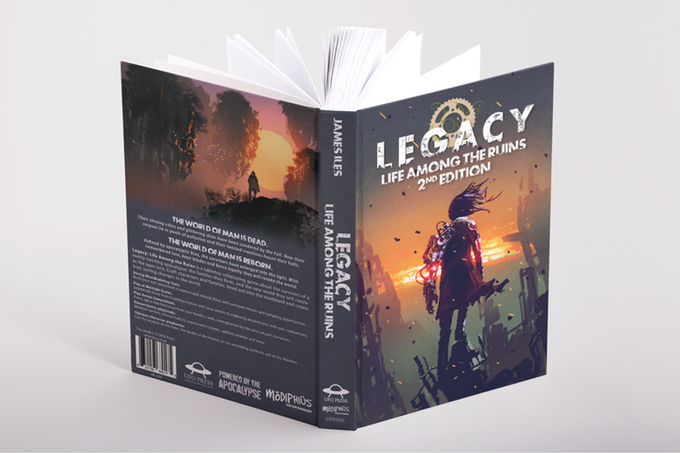 Speaking of Kickstarter, we should head over there now to quickly catch up with the second edition of Legacy: Life Among the Ruins, which has just a couple of days left before it closes. It’s in part a tabletop RPG, built upon the popular Apocalypse World mechanics, but it’s also as much a family management simulator, giving you control of not one character, but whole groups of them as they grow and change through multiple generations. It shouldn’t always have to be the GM who gets to enjoy controlling more than one person at a time. OKAY THEN I think we might be on the home stretch, now. 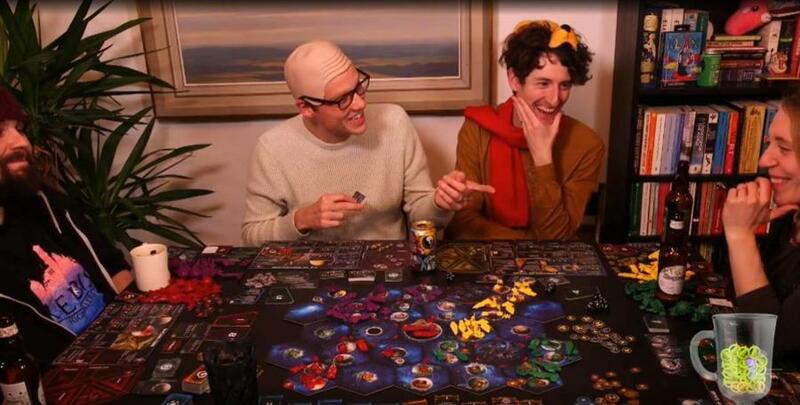 It would be remiss of me not to mention that the fourth edition of Twilight Imperium was another one of Fantasy Flight’s recent big reveals, just in case you didn’t catch us announcing that we’ve been making a documentary about it. We’re excited to finally be able to talk about something we’ve been following for years and acknowledge a host of changes, such as how this new edition has a massive seventeen races in the box, has as simplified tech tree (thank God), has new trade rules and now gives you the opportunity for you to milk Mecatol Rex for victory points like the giant space cash cow that it is. Also it just looks so pretty. The art and design has really jumped up a notch for this latest edition. Finally, let me point you toward a few things that caught our eyes and ears this week that weren’t launch announcements. First, there’s the convoluted, complex and sad story of the protracted battle for control of Divorce! after its creator, former Joystiq editor Andrew Yoon, passed away unexpectedly. 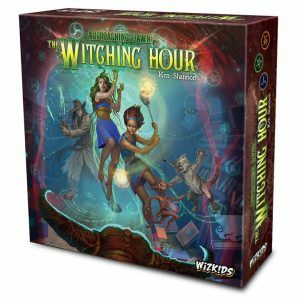 Then there’s the latest podcast from our friends at Tuesday Knight Games. No, we’re not cheekily linking to this because it features so many people saying they first found TKG via us, I promise, but because of of two lovely anecdotes. One’s about a Minecraft version of Two Rooms and a Boom and the other’s about using that same game to help students practice their English skills. Games as a teaching tool, eh? I’ve always said that’s one of their best applications. PS: Be careful looking up at the eclipse today and be absolutely sure you have good eye protection. Seriously.